“Singer Paul and I have been playing in bands for 2 years. I tried to do the pop stuff. About 3 years ago he said I got this project and I said I’m in and we started Static Fiction” Ripping the Band-Aid off we jump right into the interview Static Fiction’s bass player Ryan Brown. A mad man in his own right who brings high energy and funky bass levels to the band. In my time talking with Ryan, I learned so many interesting things about him and his band but I think overall I am going to include some of the fun stuff so you folks out there have something different to read here on Contrast Control. 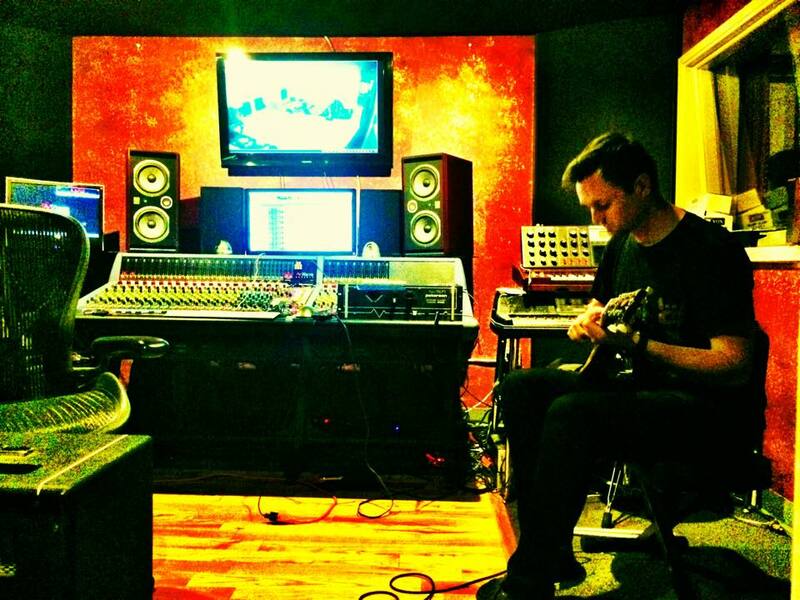 A bit of trivia is that Static Fiction is working on new material with world famous producer Ryan Greene who is known for bands such as The Chimpz, Megadeth, and rappers such as Jay-Z and everyone in between those genres you can imagine! Punk music was Ryan and his bandmates first choice of music growing as well as mine. We shared that common thread while talking and even our love for bass playing and the plight we have to work a bit harder for attention. Ha oh that conversation was a gem! Ryan talks about his music influences: “Oh it’s the stuff that we grew up listening to. 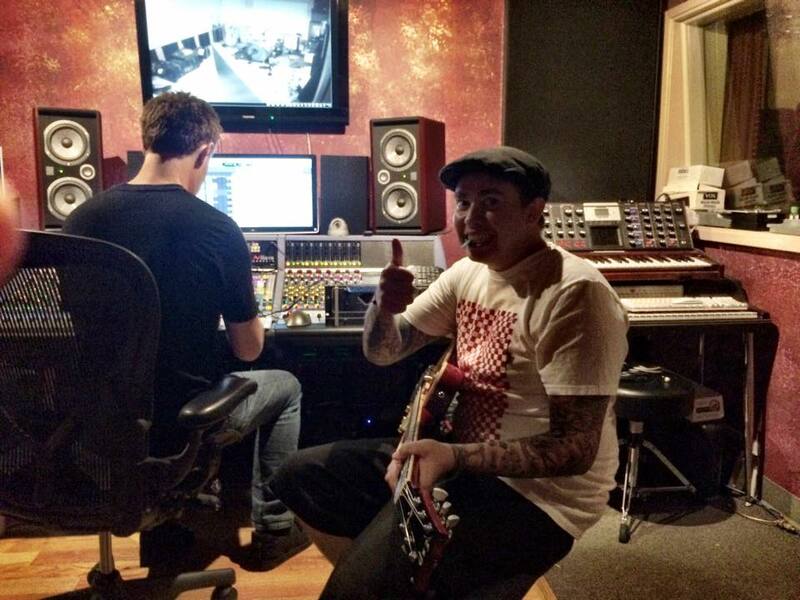 My first record was MxPx – Slowly Going the Way of the Buffalo. I mean its stuff we listened to growing up. Bass players are my kinda guys because well, I’m a bass player too! So no doubt I had to talk with Ryan about this: “ I don’t know if I would say that. Well whatever I’m the funny one in the band I guess. Our love for the instrument has caused us to be that token member of the band that looks and acts a certain way and often you do see that as a stereotype to bass players. But hey if we didn’t play funky notes and keep things moving, all we would do is just get water for the other guys! All joking aside I had tons of fun on this interview and just want to share the fun points with you. Static Fiction is a family friendly band despite the eccentric personalities that make up the band. Let’s not confuse Static Fiction’s song Main Street being associated with Disney’s main street, unless you give Ryan a tub full of money, then Disney can use that. It’s easy to see how humorous these guys are and if you can’t laugh at yourself and have a good time, what’s the point of anything? 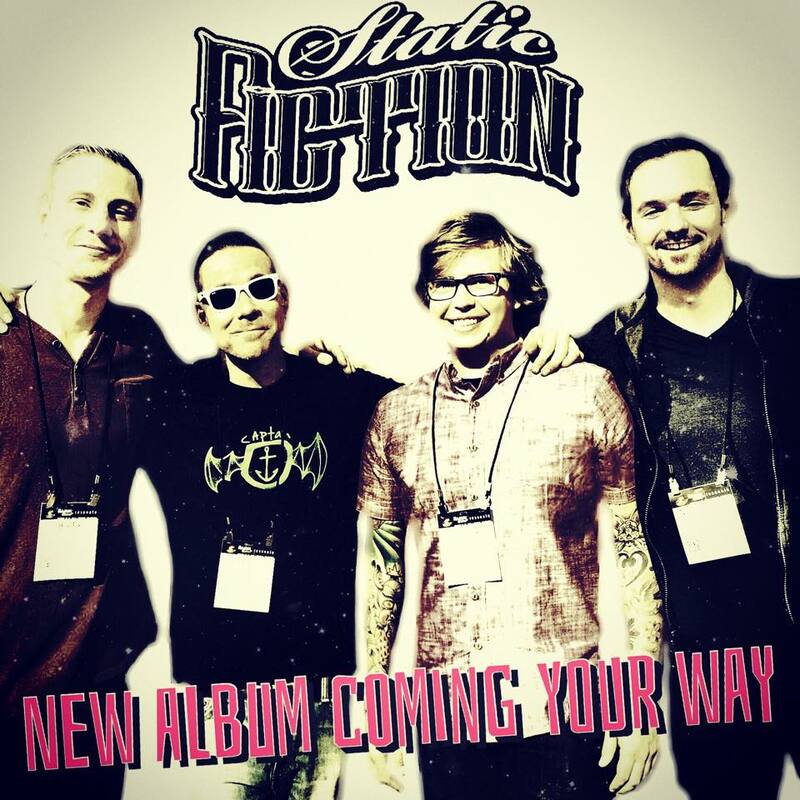 Either way, Static Fiction have matured their sound while keeping their punk roots alive, they are just merely adding a bit more heavier tones to what is going on through the songs but keeping it in the realm of true pop punk and fun vibes. The monster that is Social Media has changed the landscape of how music is created and distributed, even in the past 5 years it’s been reduced to a singles market of how important one song can be to keeping a bands career going. Ryan shares his thoughts on this: “Social Media is a double edge sword. I mean you can listen to every song by Rancid on YouTube. So it’s a good thing but you know. It could be good and it could be bad. I like social media only because I can talk to fans and connect with them. “Uh I guess shout out to Ryan Greene our producer, Godin guitars our sponsor” Static Fiction also loves Germany. 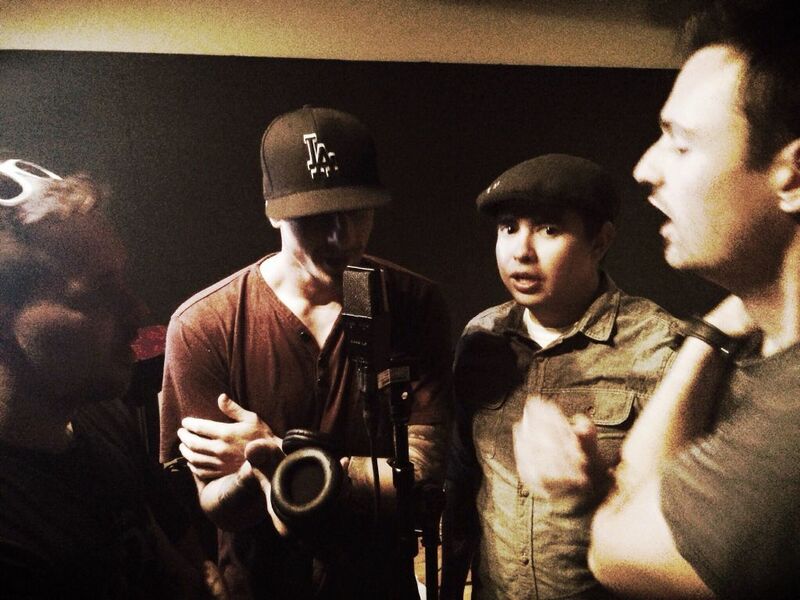 Some parting words from Ryan on his band for you all: “Happy. No, Poppy.” 2 words that sum up the band and a great way for you to be introduced to them. So summing up his band to being happy and feel good vibes no matter the song and being a general fun person to hang around, Static Fiction bring a lot to the table musically and work 110 percent to make the best songs possible, and are willing to share it with the world. I’d like to thank Yvonne Laughlin and Ryan Brown for making this interview happen and giving me some laughs in the process as well as some trivia on Static Fiction. Welcome to the Contrast Control Family guys! Here’s to future articles! Bass, Brown, Contrast, Control, Feature, Fiction, Interview, James, Pop, Punk, Ryan, Static, West. Bookmark.